Hey y'all and welcome to another WHW. 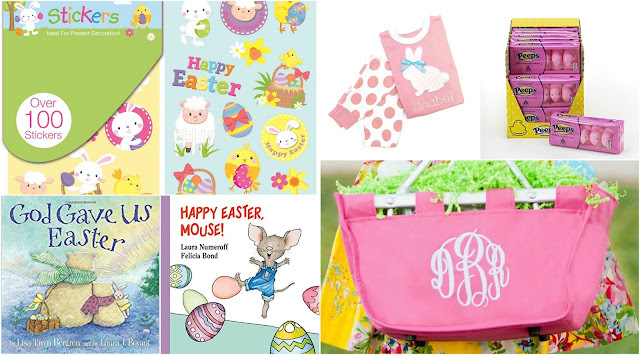 I'm sharing a little Easter fun this week since believe it or not, Easter is this weekend! I really can't recall a time where Easter ever coincided with April Fool's day can y'all? It should be interesting! Anyway, we're gearing up to welcome a new pastor at our church and all I know is that he has a wife and three kids and I'm super excited for our church. He isn't preaching until April 8th I believe but our plans will still be our usual service and then lunch with my family and dinner with my Husband's side. I'm trying to decide what to bring - something sweet or savory? I should probably get on that... I'm pumped for the upcoming warm weather we're supposed to get and family time as well! Easter basket wise we'll probably keep it rather simple. I like to add a new book, sometimes pajamas and of course candy. I'm really trying to teach Andi more about the real reason for Easter and I really need to thank Brittany for her help and recommendations on introducing religion to toddlers. (Thanks friend!) Let me know some of your toddler favs for Easter and if you have any tried and true Easter recipes too! Like I mentioned last week, we're off to Andi's rescheduled Pre-K open house in a few hours so wish us luck. Hope y'all have a wonderful Easter weekend! Love all of your Easter picks! Those jammies are absolutely precious. Those crescent wrapped asparagus look AMAZING!!! I hope you have a great Easter! I keep forgetting that Easter is on April Fool's Day! And I am with Lizzie - those asparagus wraps look delicious! So many fun cute ideas :)! I was thinking the same thing about Easter and April 1st. Love these ideas! I’m a sucker for deviled eggs!! 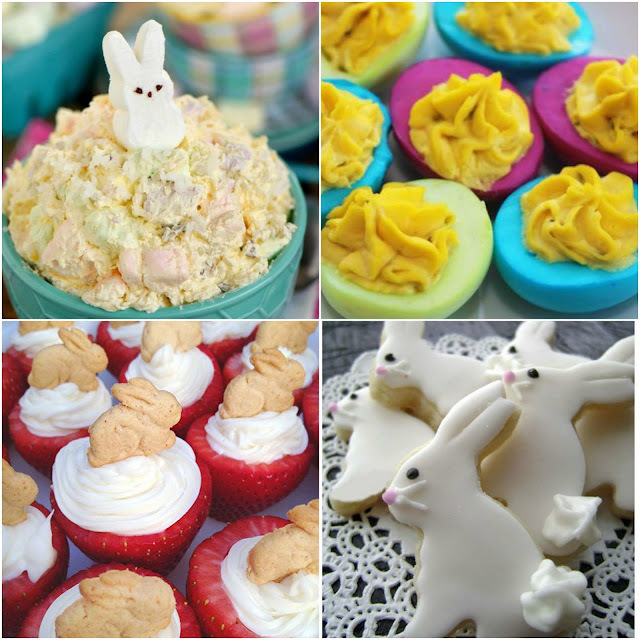 All of those little Easter goodies look so good! Fun Easter ideas. I love the idea of giving a book every year. I know my nieces and nephew love them, especially the youngest niece. I hope you have a great Easter!! 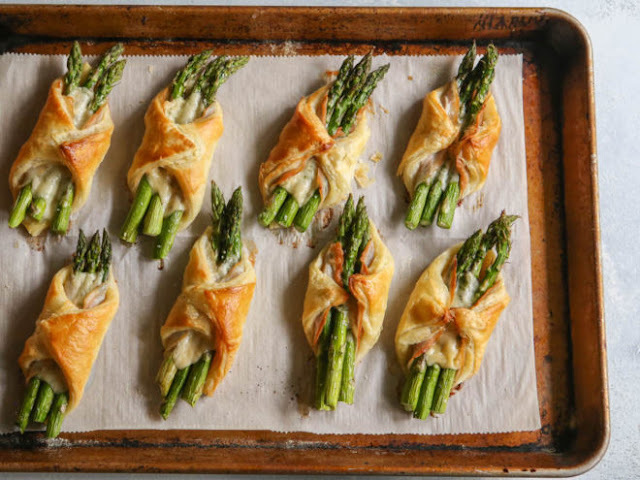 I soooo want to make those asparagus puffs. They look really good. Loving all the Easter stuff.